Kansas City is a HUGE sports town! We have some of the best sports fans ever and we love our KC Teams!!! Fall means a few things to the people around here...Chiefs Football, BBQ, and Tailgating. 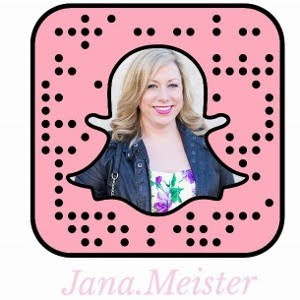 I thought I would show you my football season style featuring my Chiefs jersey from Fanatics and the fun way I would style it to spend a day out at Arrowhead Stadium enjoying a exciting fall football game! That military jacket with the sequins sleeves is on my fall wish list! 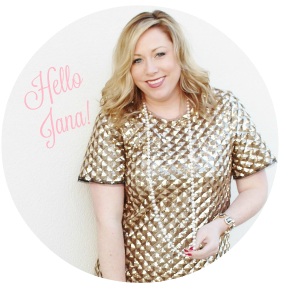 I'm in love with anything sequins...naturally :) I also love a good pair of converse sneakers! I have a gray pair already but I'm leaning towards getting a white pair too! You have to have a hat and scarf for a fall football game...its a must! Blanket scarves are a huge trend for fall and I love this red plaid one. Destructed skinny jeans look great paired with sneakers and I really like the wash on this pair. 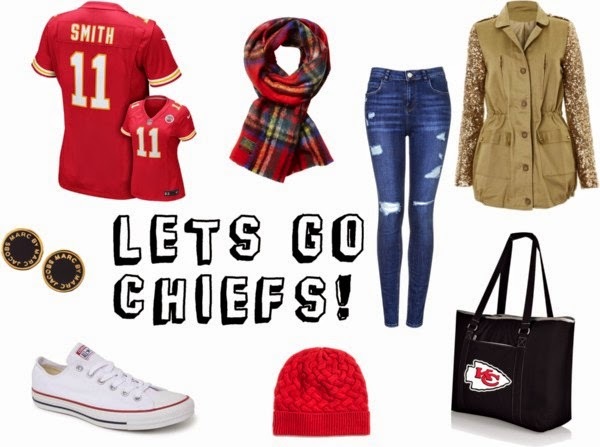 For a football game keep your jewelry simple with a cute pair of studs and don't forget your Chiefs tote bag to carry all your tailgating goodies! Happy Football Season! That jacket may need to find its way into my closet for Mizzou's homecoming in a few weeks! I desperately need a cute pair of sneakers! I love that jacket too!